The new bankruptcy laws that went into effect in October 2005 were officially dubbed “The Bankruptcy Abuse Prevention and Consumer Protection Act” by Congress. Up until recently, “abuse” was almost solely linked to the debtor, as in the situation where a debtor, who presumably had the ability to make some payments to creditors, instead sought to not pay creditors by filing for Chapter 7 relief. Now, the Court is also punishing creditors who it believes are abusing the system in different ways. 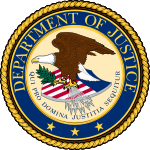 When the 2005 Act went into effect, the Office of the United States Trustee, a branch of the Department of Justice which is the federal regulatory agency that oversees the integrity of all bankruptcy proceedings, adopted an aggressive approach to enforcing the new law by seeking to strictly construe all aspects of the law as it applied to debtors. The U.S. Trustee focused most of its attention on investigating and pursuing debtors, but devoted very little time, if any, investigating any other party involved in bankruptcy proceedings. Mortgagees are learning that they can by guilty of abuse also. For the longest time, there appeared to be widely disparate treatment of debtors who misrepresented facts, and creditors who brought frivolous proceedings or filed incorrect documents. In the past, if a mortgage company violated the rules — by bringing a frivolous motion to lift the stay or filing an incorrect proof of claim – then invariably the worst punishment it would get would be little more than a slap on the wrist. However, if the trustee discovered that a debtor grossly misrepresented his financial information, that would be considered a heinous malfeasance subjecting the debtor to litigation challenging dischargeability. Let’s be clear here. Presenting any false information to the Court, whether intentionally or negligently, is a serious offense that should be punished. But the Court should treat all parties the same way – whether debtor or creditor. The U.S. Trustee is stepping in to police abusive mortgagee practices. In the past half-year, with increased attention towards mortgage companies engaging in sloppy bankruptcy practices, the Office of the United States Trustee said enough is enough. In doing so, the U.S. Trustee has developed a new policy to police and punish those mortgage companies and their attorneys who flout their obligations to provide accurate information to the Court. One particular lender, Countrywide Home Loans, has become the poster child for bad-boy bankruptcy practices committed by a mortgagee. In the past two months, several U.S. Trustees across the country have brought charges against Countrywide for abusing the bankruptcy process. In cases in Georgia and Florida, the U.S. Trustee alleged that Countrywide made inaccurate allegations in motions to lift the stay, asserted liens that they were not entitled to, and collected money from a Chapter 13 trustee after the mortgage claim was satisfied. These actions were so newsworthy that The New York Times, the Wall Street Journal, and the Los Angeles Times prominently covered the story. The U.S. Trustee’s complaint alleged that Countrywide’s conduct and practices created unnecessary delay and expense, abused the bankruptcy process, and were sanctionable. Although the U.S. Trustee has previously intervened in bankruptcy cases involving Countrywide in Florida, Ohio, Pennsylvania and Texas, this recent Georgia case was especially noteworthy because the U.S. Trustee initiated the suit on its own. In November, the U.S. Trustee subpoenaed Countrywide in at least a dozen cases regarding questionable claims for fees. Many of these cases are continuing. Study shows mortgage proofs of claim contain significant errors. A recently published study revealed that mortgage companies are guilty of making tremendous mistakes with the proofs of claim they file. Katherine Porter, Associate Professor of Law at the University of Iowa, concluded that mortgage companies frequently do not comply with bankruptcy statutes regarding the filing of claims. She found that a majority of claims are missing one or more of the required pieces of documentation. She also found that fees are often poorly identified, making it impossible to verify if such charges are legally permissible or accurate. Hopefully the U.S. Trustee will also devote some attention to reviewing the accuracy of mortgagee’s proofs of claim. Creditor’s firm severely sanctioned for sloppy mortgage bankruptcy practices. A very large and prominent Texas law firm that primarily is engaged in representing mortgagees in bankruptcy cases was severely sanctioned by the Bankruptcy Court for improperly calculating the legal fees. The firm, Barrett Burke Wilson Castle Daffin & Frappier, operates a high volume foreclosure and bankruptcy practice and frequently brings motions for relief from the stay. In each application, as is the usual practice everywhere, they asked for legal fees. In one case, In re Porcheddu, 338 B.R. 729 (Bankr.S.D.Tex. 2006), the judge felt the legal fees were not appropriate and demanded the mortgagee’s attorney to account for them. The Judge discovered that in numerous instances, the mortgagee’s attorneys lied to the Court as to how the fees were calculated and also lied about keeping contemporaneous time sheets, when in fact they did not. After several hearings, the judge, incensed by this conduct, sanctioned the firm $125,000, although this amount was later reduced to $65,000. Bankruptcy Reform involving creditors is needed. The 2005 Bankruptcy Act primarily reformed the law as it applied to consumers and made the entire bankruptcy procedure stricter for them. What we still need are laws that protect consumers from creditors and mortgagees who engage in poor and sloppy bankruptcy practices. Many mortgagees file incomplete claims with vaguely identified fees. Mortgagee’s attorneys often seek to lift the stay with information that is incorrect and unverified. About the Author. Long Island Bankruptcy Attorney Craig D. Robins, Esq., is a regular columnist for the Suffolk Lawyer, the official publication of the Suffolk County Bar Association in New York. This article appeared in the April 2008 issue of the Suffolk Lawyer. Mr. Robins is a bankruptcy lawyer who has represented thousands of consumer and business clients during the past twenty years. He has offices in Medford, Commack, Woodbury and Valley Stream. (516) 496-0800. For information about filing bankruptcy on Long Island, please visit his Bankruptcy web site: http://www.BankruptcyCanHelp.com.